16 Hours by bus was how my journey began, but at least it was air-conditioned. But not for one minute did my excitement at heading for Saraswatipur village in North Bengal leave my mind. This was going to be very much a first for me – coaching children brand new to rugby and that too in a remote jungle. When I got off the bus at Siliguri, the sun was glorious and right above my head and there was a tremendous hustle bustle at the bus stop with jeeps and cars heading all over North Bengal and further afield to Sikkim and Assam. As guided before leaving Kolkata, I jumped aboard a bicycle rickshaw to reach Salesian College where I met Father George Matthew who would in turn get me going on my further journey to the village. Father Matthew warmly welcomed me and after only a couple of minutes we headed towards the college canteen for lunch of steaming warm momos. I stayed in a college guest room that day which was comfortable and a great relief from the bus journey. The next morning, Father Matthew drove me towards the tribal village “Saraswatipur” in the Baikuntpur forest. The journey was 20KM away from Siliguri and it was not less than a jungle safari. I was overwhelmed with the kaccha roads surrounded by forest cover on either side. While on the way father gave me a small brief about the tribal families, the children and their lifestyle. He also told me to be careful after dark and not to go anywhere as wild elephants were a big threat to people living in the village. As I reached the village, I was amazed by the lush green beauty of the nature. The whole area of the village is surrounded by tea plantations cut into the forrest. 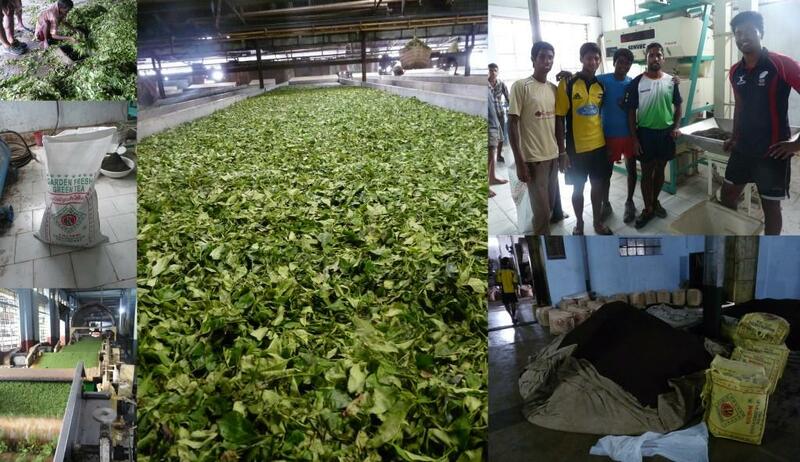 There was an ancient tea factory as well, which I would later visit and marvel at how tea is made. I was greeted by a few village children and my fellow rugby coach from Kolkata – Amirul, who had been in Saraswatipur for five days already. Myself and Amirul were delegated with the responsibility of coaching tag rugby to the village children and preparing them for the “Saraswatipur Cup”. Our fooding and lodging for the upcoming days were arranged by Father Matthew. We stayed in a room attached to a newly built church and our daily meals were prepared by a local village family. The much awaited time had come for me to begin with the training of the young kids who never saw a rugby ball and never heard about the game in their entire life. Infact, nobody in the village had ever heard of anything called rugby. This was the major advantage for us to attract kids towards the playground as every kid wanted to grab the unusual oval shaped ball and learn the game which was totally new to them. We started off quite well with almost 130 kids coming for training everyday and it went up to 200 in the next week. We had a systematic and planned approach to our training. We divided all the children into few groups and had time table set for each groups. 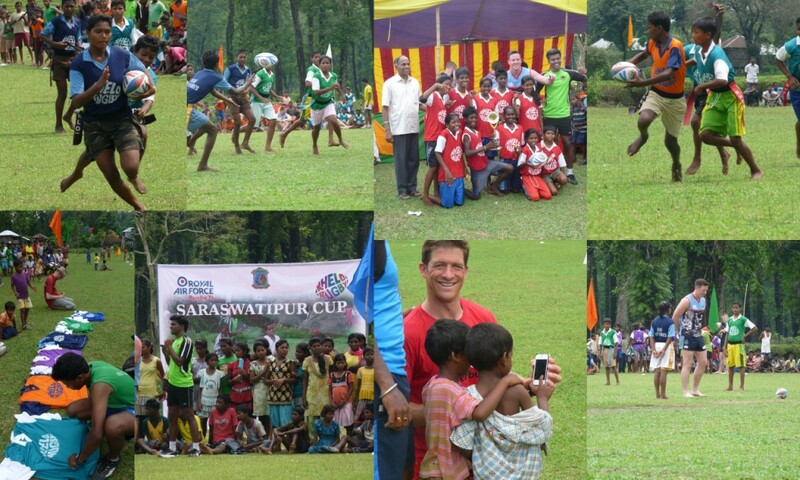 Saraswatipur is really a group of villages and very soon we had children from all over the area playing – this is now one rugby mad place! Practice – children were great and now rugby crazy! From third week onwards we started with morning and evening training sessions. The children’s responded in a very positive manner and they took the training sessions very seriously. We also started with English classes in the evening for the kids. We would begin English classes at 7pm inside the church because that was the only place where we had electricity all the time. Very soon we became firm favourites with the children who loved the new game and were enthusiastic to learn new things and we shared an emotional bond with each child in the village. Soon we were helping them with all their homework, helping to revise for exams and moving around the village like locals. Apart from training rugby and our classes for the kids, we were also able to have some fun. Even though I couldn’t swim I jumped in the river along with everyone else and was swept along by the current to a shallow sand bank. Time after time the children went and so did I! We also got to go fishing and hunting in the jungle, something that was taken seriously every Sunday as the boys headed off with bows and arrows to catch something different for dinner. Finally, before we knew it a month had passed and the RAF Spitfires were in town. On their arrival to Saraswatipur, the village people welcomed them with flower’s and also conducted a local cultural program with dances and singing to welcome their guests. Most of the village people are from tribal or Adivasi background and their songs and dancing is very important and kept alive throughout the generations. And though the spitfires couldn’t understand much about what was happening the welcome was very warm and everyone was well entertained. After the program, all the village children with the RAF team went to the playground for a small training session. It was really wonderful to watch the kids enjoying their time with the Spitfires and seeing also how much the Spitfires enjoyed. The Spitfires really didn’t want to leave at the end of their first day and wanted to stay back in the village, but arrangements had been made in Siliguri and it was important to get through the jungle before dark, before the elephants came out. And so we came to the Saraswatipur Cup. Me and Amirul had made 8 teams of 5 girls and 5 boys on each team of 10. Each team had one Coach from the Jungle Crows team, a group of who had also travelled up, and one from the Spitfires. And what a great day it was – better than me explaining were the photos which summed up the spirit and joy of the day for the children and all the visitors. 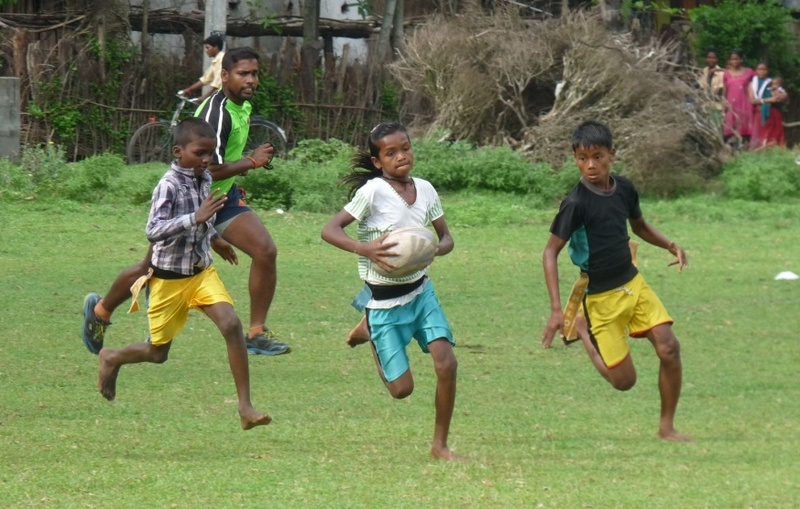 The Crows Foundation is now planning to place a permanent Coach in Siliguri to keep the Saraswatipur rugby going and introduce the sport to more children in the city and across the region – I hope soon Siliguri and Saraswatipur will be known not only for good tea but also for good rugby!